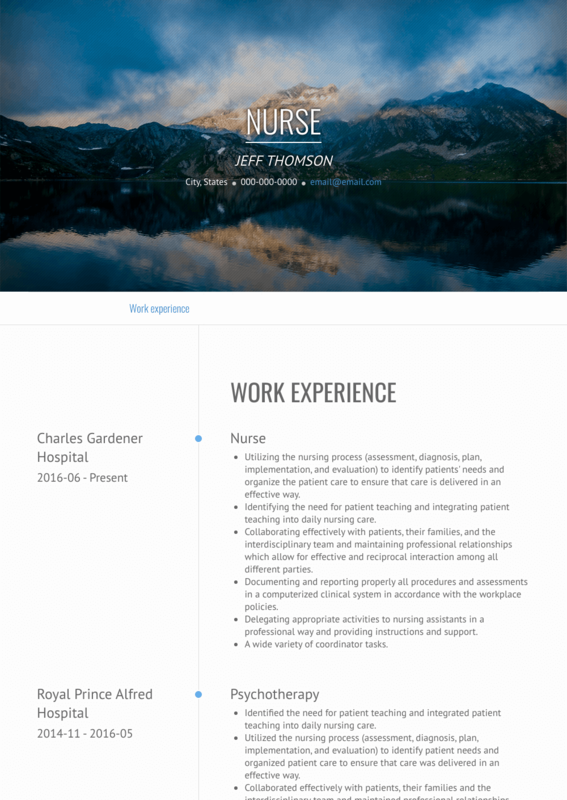 This page provides you with Nurse resume samples that you can use for inspiration in writing your own resume, or for creating one through our easy-to-use resume builder. Below you'll find our how-to section that will guide you through each section of a Nurse resume. Create the perfect nursing resume for your next job application. Demand for nurses is at an all-time high, but so is competition - especially in the most popular markets. Before you start your career in nursing, create a resume that can help you land the job. The following nursing resume examples will help you get started. You must also ensure you meet the requirements by using the correct format for the application.